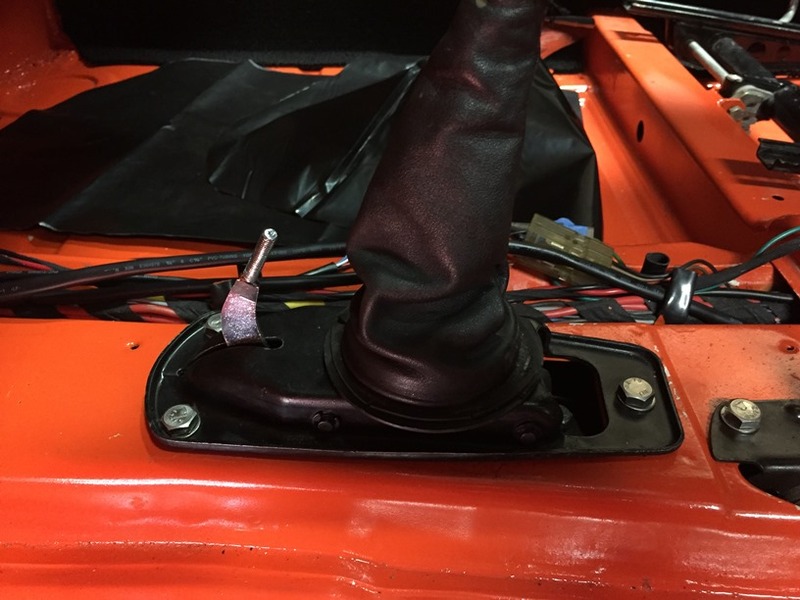 Adding a Hand Throttle Lever when you have an Appearance Group Console, This is one way to accomplish it. 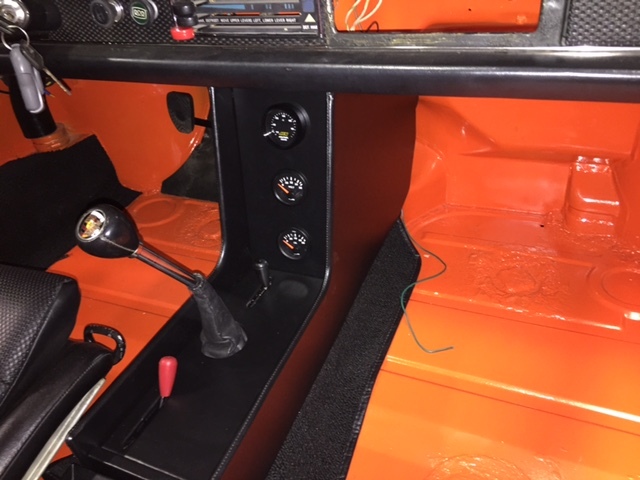 I installed a new throttle hand lever and then I tried to test fit a new appearance group console. 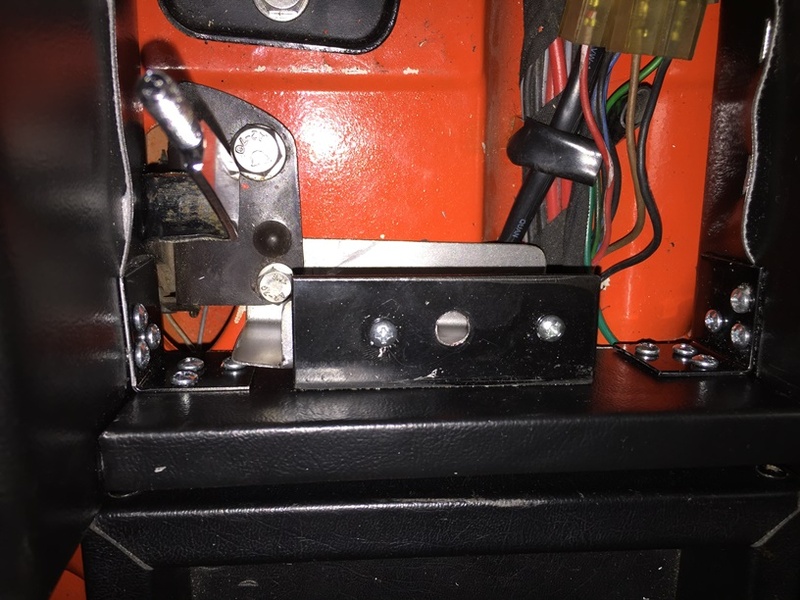 I found that the throttle lever was way too far forward to work as designed with the console. After trying several different things it became obvious that several modifications would be necessary to make this combination work. 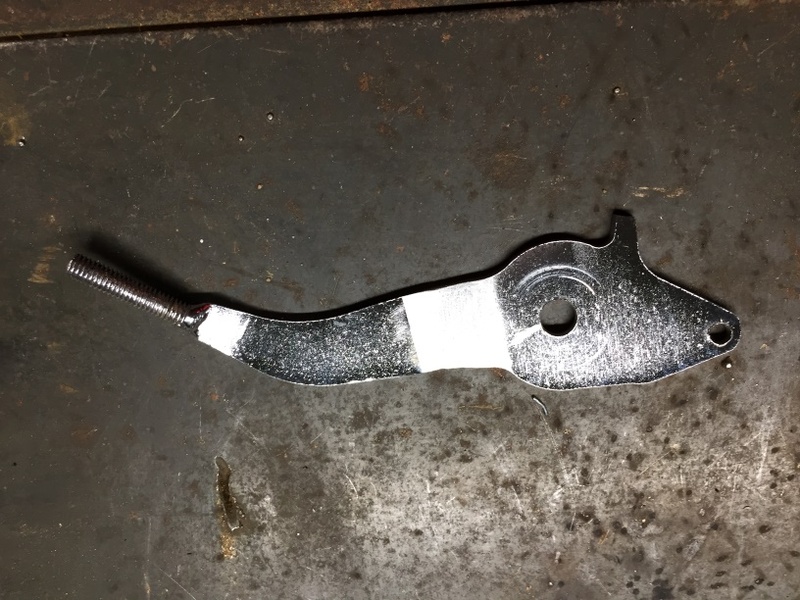 First I disassembled the throttle hand lever assembly and cut the new throttle hand lever. 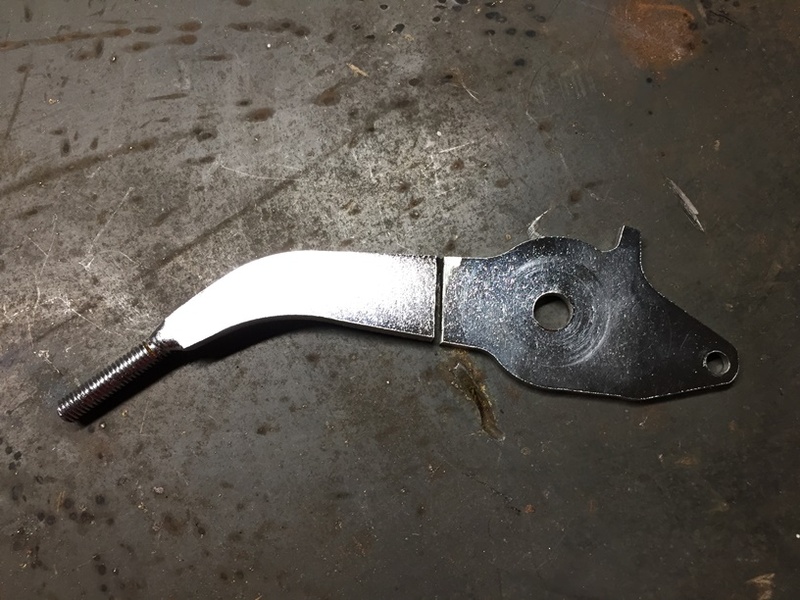 Then I flipped the top portion of the lever around 180 degrees and welded it back together and put a little silver paint on the weld to prevent rust. 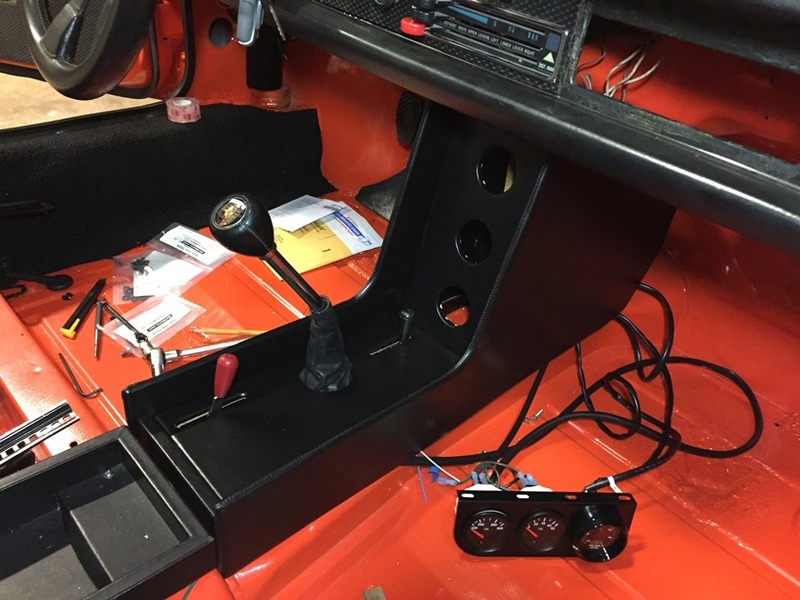 I reassembled the throttle lever assembly and installed it back into the car. The next two pictures show the lever at both extremes of travel. 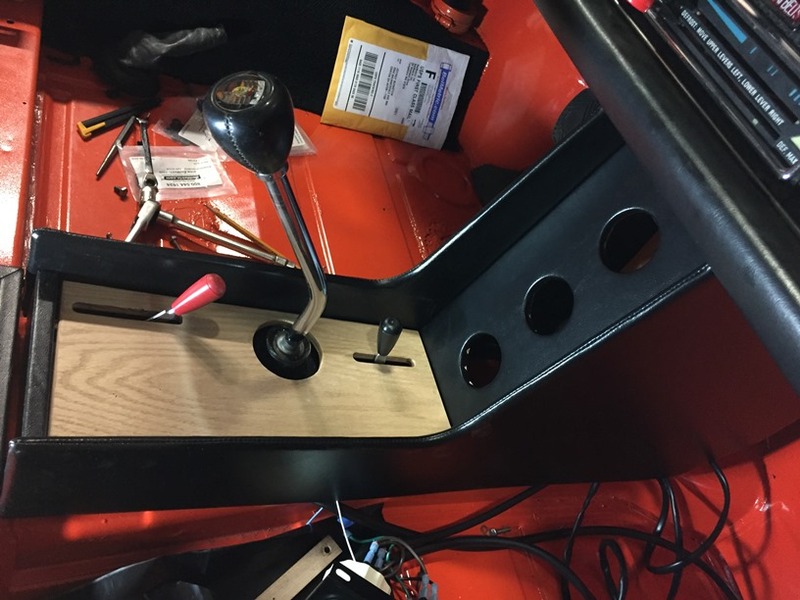 Next I had to disassemble the console and slot the support bracket to allow enough travel clearance for the modified throttle lever. 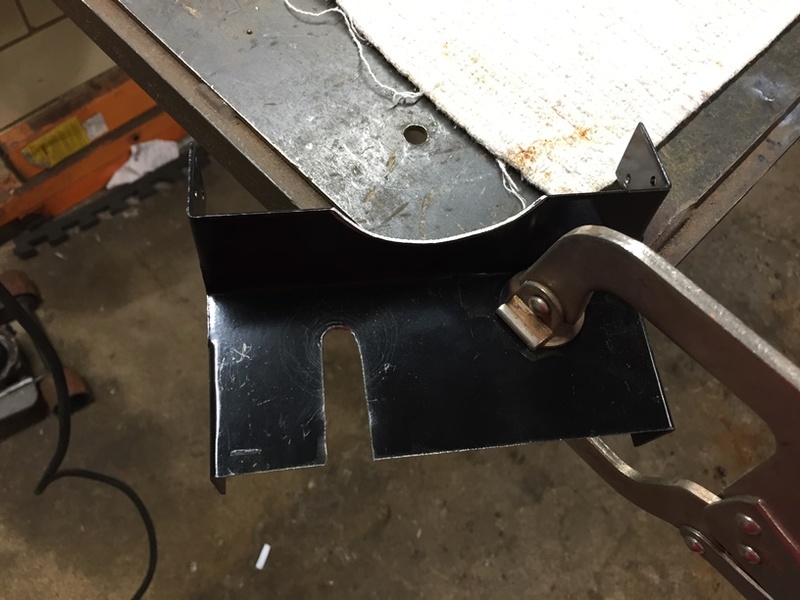 The slot centerline is 1-3/4” over from the left side of the bracket and is 3/8” wide. 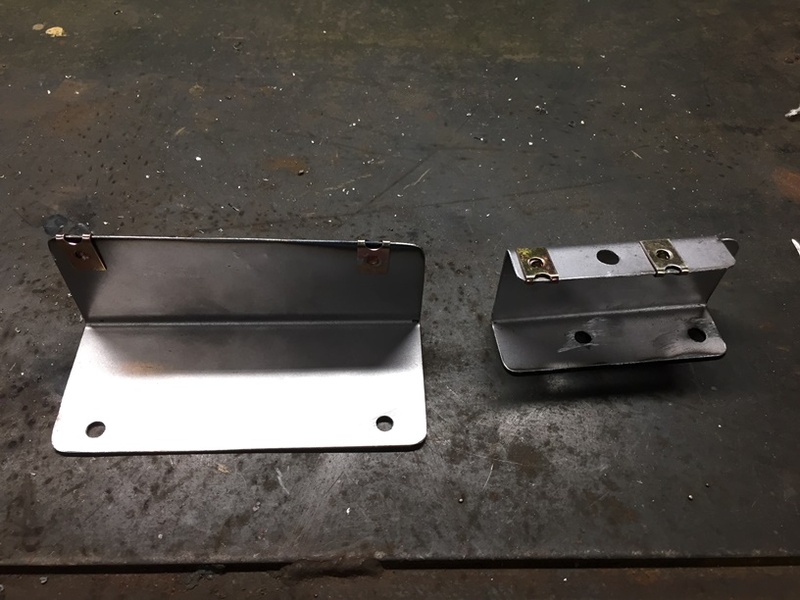 I fabricated two brackets to mount the center console. 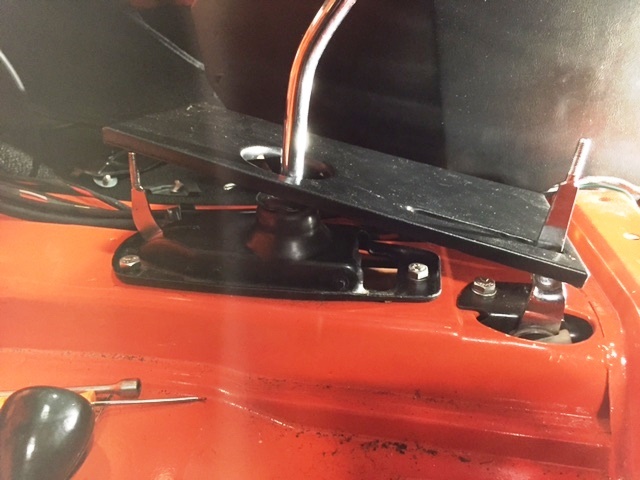 The modified console support bracket is reinstalled 1-1/4 inches forward of its original location. A new lower horizontal board needs to be fabricated. It is 1-3/8 inches longer than the original one was. The vertical gauge board is now more upright than before so that accounts for the 1/8” difference. I think it came out looking close to what the factory would have done if it had offered this option. A special thanks Mark at 914 Rubber for providing the vinyl I needed to fabricate the new longer lower board. Custom stuff that passes as (possibly) factory without extreme scrutiny is the BEST! 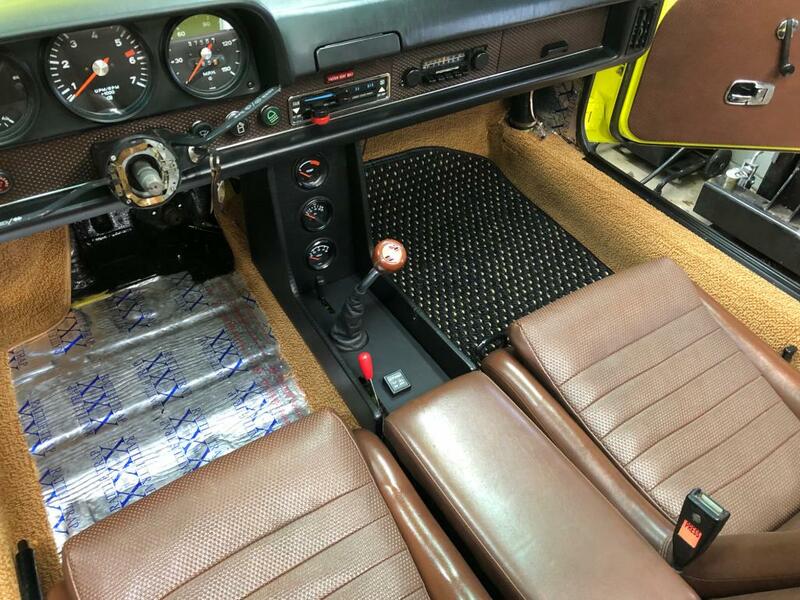 Awesome looking modification and overall interior!!! Do we have "props" or thumbs-up on this forum? 'Cause this post certainly deserves one. Great job well done looks like it belongs there! Thanks for the compliments, I hope this helps someone who is in the same situation. I'll try to add a picture of it with the gauges installed too. I am already contemplating adding a RennShifter so I will probably have to make another plate. There are more options if you click "show all" at the bottom of the emotocon window. As the king said to the hangman, "Beautifully executed". This is how it turned out with the gauges installed. I actually used Velcro to hold the two panels in place so that there aren’t any screws showing. It'll be a shame to put carpets over that beautiful painted metal. Someday I'll get some paint to do the inside of mine...all to be covered up by carpets too, but I'll know it's nice. 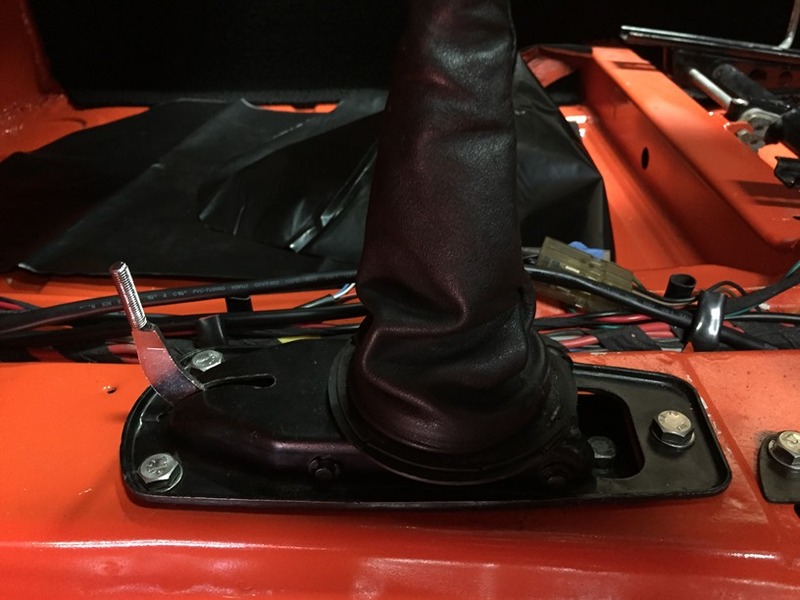 I have the exact same shifter knob...but cannot get it off for boot replacement.....What am I missing here? 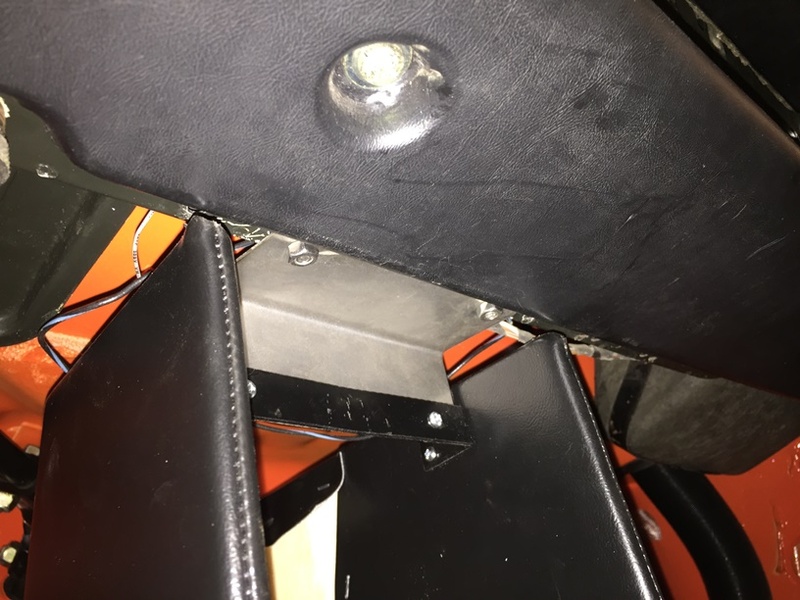 yes there is an allen set screw.